Engraved Cosmic Star Mirrored Glass Awards. Available in 3 sizes, 170mm, 190mm and 210mm high. 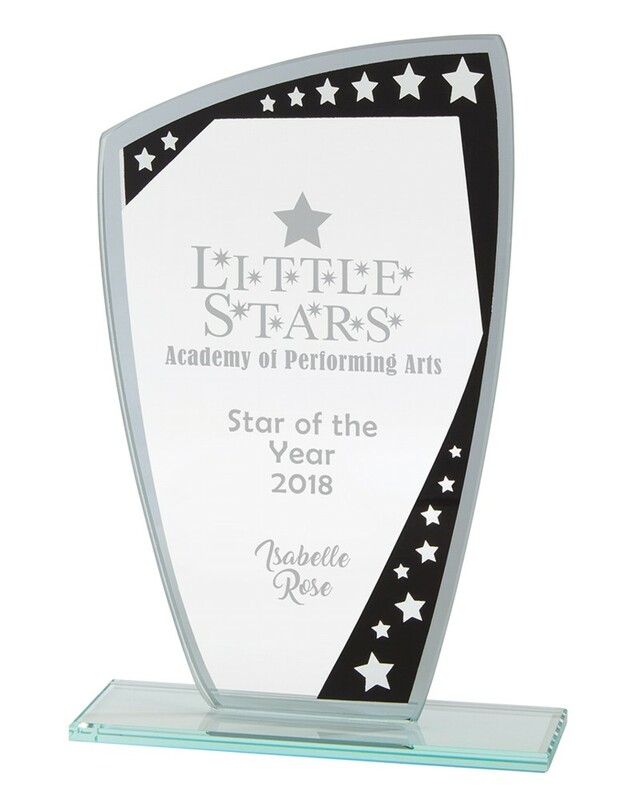 Mirrored glass award with a black panel and star cut out design. The mirrored glass is 5mm thick. All text and logo engraving charges included in the price.